Editor’s note: The ministry and recent death of the Rev. Billy Graham evokes passionate recollections for many. The Christian Citizen is publishing divergent perspectives on his life and legacy for your consideration. On behalf of the Baptist World Alliance (BWA), the Rev. Dr. Denton Lotz, family member of Billy Graham, issued the following personal statement. Reprinted with permission of the BWA. The world has lost a great spiritual leader. Christians have lost a great evangelist. What was the basis of his spiritual strength? The strength of Billy Graham was his humility in the face of Christ! I remember when he began to preach in Eastern Europe. A Hungarian bishop who hosted him once said, “You know the Communists said only bad things about Billy Graham, but, now that I have been with him, I know that his power comes from his humility before God!” It was an honor to accompany him on many of his trips to Eastern Europe where thousands suffering under Communism were encouraged. Many gave their hearts to Christ. I remember during the Vietnam War, when we were in Geneva and some students were protesting. Billy went up to them and, in Christian love, talked to and befriended them. He was not ashamed of the Gospel. Whether speaking to kings, queens or peasant farmers, he respected all peoples. One of his great contributions to America and the world was his call for racial reconciliation. He was a friend of Martin Luther King Jr. Both recognized the power of the Gospel. 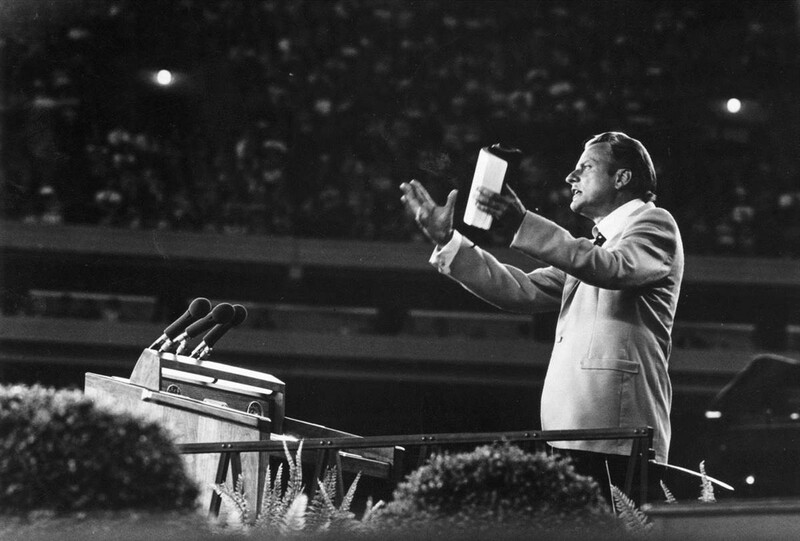 Billy Graham was an evangelist for the world, beyond denominationalism. He called men and women to Christ, not to his own tradition. Pope John Paul II was his friend. Once, when I brought the pope greetings from Dr. Graham, his eyes lit up and he returned the greetings with thanks. Nevertheless, Dr. Graham was pleased to be part of the Baptist tradition. From 1950 until 1990 he preached at every Baptist World Alliance congress. In later years, he was distressed at the disunity among Baptists. The call of Christ was a call for unity. At the SBC (Southern Baptist Convention) Convention in 1995 in Atlanta, he admonished us all, “Support the Baptist World Alliance!” It was always a joy to count on Dr. Graham’s support and encouragement. The Rev. Dr. Denton Lotz is general secretary emeritus of the Baptist World Alliance.